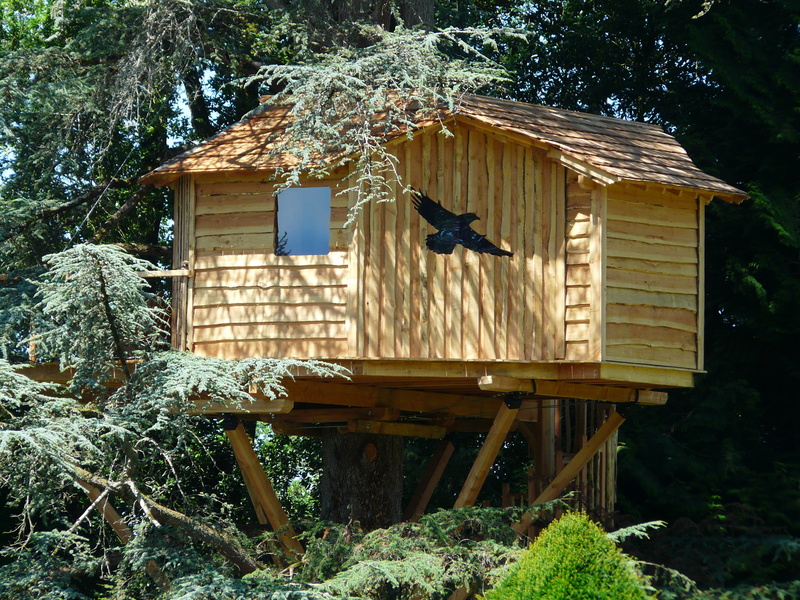 Raise your dreams up high in our treehouses. 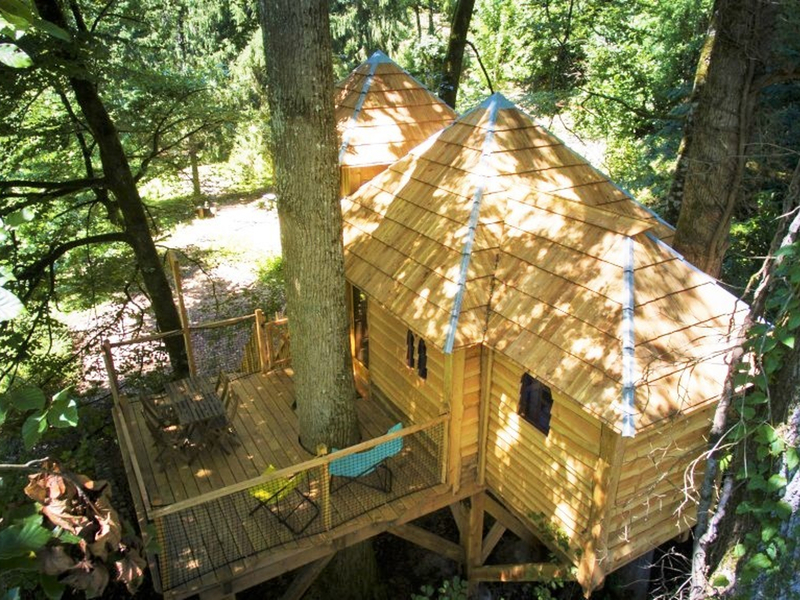 The Château de Laàs treehouses give you the ability to spend a one-of-a-kind night in the treetops. Whether you’re coming as a couple or with your family, it’s never too late to make one of your childhood dreams come true. After spending a pleasant night lulled by the wind, you’ll wake up to find a copious breakfast basket at your treehouse doorstep. Just hoist it up to your deck to partake as you admire the birds and squirrels scuttering around. 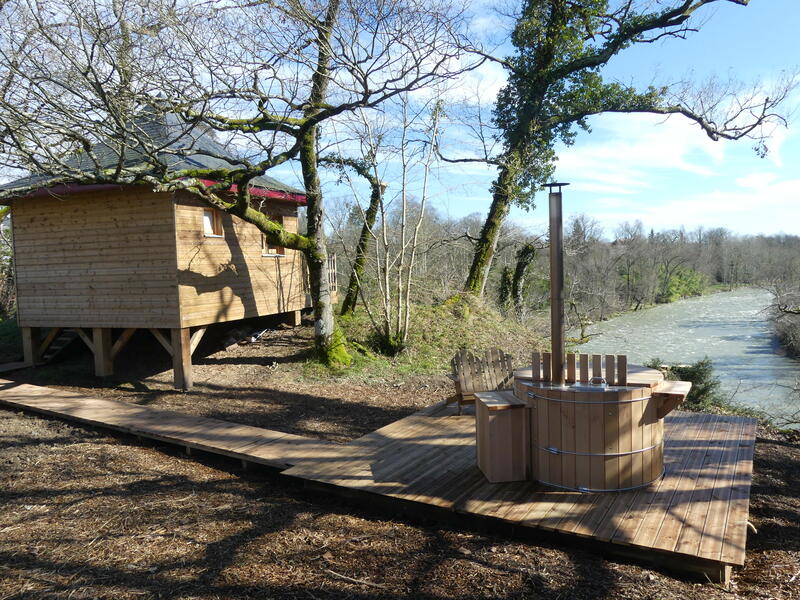 Our treehouses are located in Béarn (Pyrénées-Atlantiques), just a stone’s throw from the Basque Country. We are about an hour away from the urban areas of Bayonne, Biarritz, Dax, Hossegor / Capbreton, and Pau. 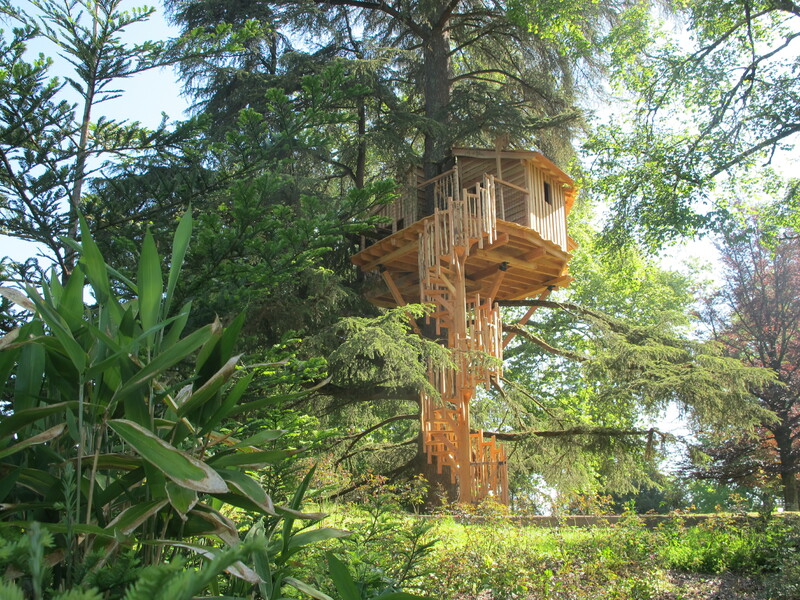 Your children are going to love playing in this treetop castle! 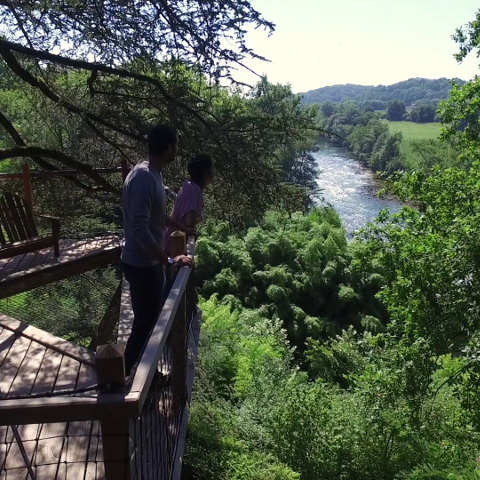 Take in your natural surroundings from this family treehouse! Are you looking for a unique gift? Look no further: you’re barking up the right tree. 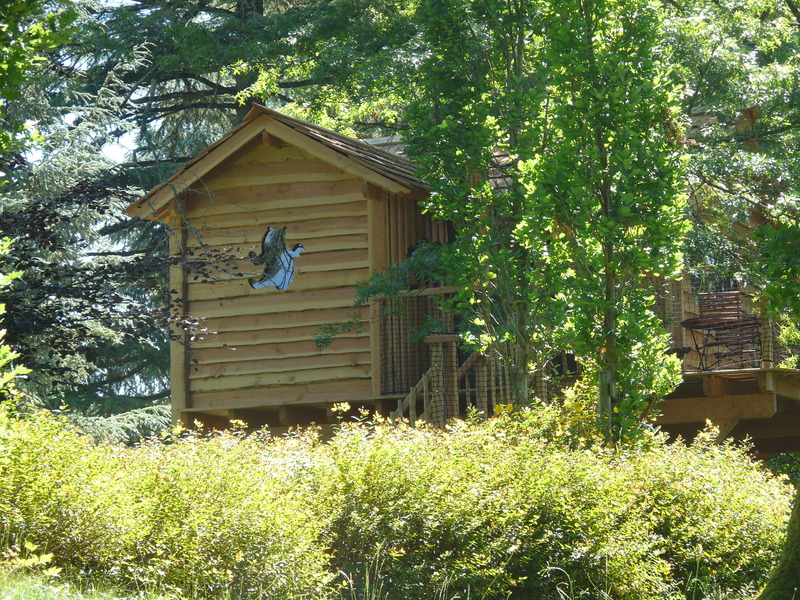 For a birthday, retirement, or Christmas gift, think of our gift vouchers, valid for two years, to come sleep in a treehouse on the Château de Laàs estate in the Pyrénées-Atlantiques. 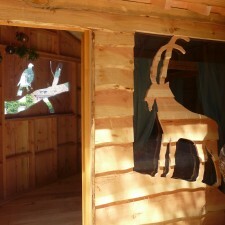 The happy recipients of the gift voucher can choose their preferred date and the treehouse of their dreams.